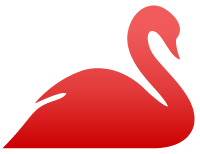 Red Swan is the Premier RiskMetrics Enhancement. Any Risk Manager, CIO, or Chief Risk Officer can supercharge their RiskMetrics RiskManager through the addition of Red Swan’s model risk management tools, services, and consulting. Our products are developed through ten years of research, testing, and refinement in Hedge Funds, Funds of Funds, and Asset Managers’ live RiskMetrics RiskManager environments. Risk Managers gain new confidence and access the highest performance possible in RiskMetrics Risk Management Reporting with Red Swan’s model risk management solutions. Contact Red Swan Risk today for a demonstration of our efficient solutions.